Flaky parathas filled with a spicy lamb mix and served with a cooling raita makes for a tasty Indian feast. Mix together the flour, salt, carom seeds, oil and 225ml/8fl oz water to make a smooth dough. Cover and rest for at least 15 minutes. Meanwhile, to make the filling. Heat the oil in a large pan to smoking point, add the whole spices, followed by the cumin seeds. 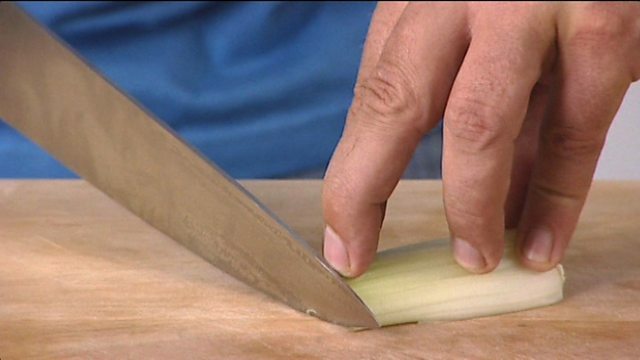 When they start to crackle, add the onions and cook on medium-low heat for 2–3 minutes. 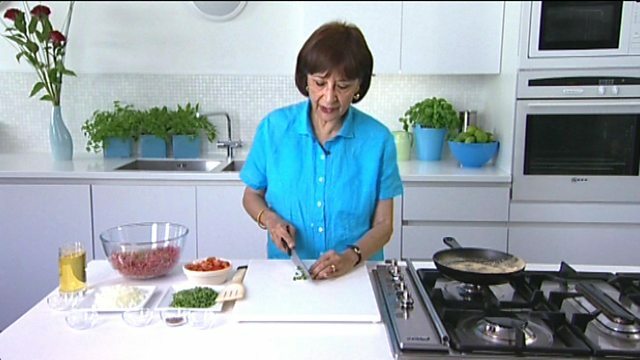 Add the ginger and garlic paste, salt, ground spices, ginger, chillies and stir for 2–3 minutes to cook out the spices. Add the lamb and cook until dry and the liquid has evaporated. Add the potato and cook for a minute stirring to mix thoroughly. Adjust the seasoning and sprinkle with the coriander and lemon juice. Leave to cool completely. Discard the whole spices, divide into ten equal portions and roll into discs when cool enough to handle. Divide the dough into ten balls. Take a ball of dough, make an indent and keep pressing and rotating the dough in your hand to make the hole slightly larger than the size of one of the lamb discs. The edges of the hole should be slightly thinner than the rest of it. Sit a lamb disc in the hole and bring together the edges to cover the stuffing from all sides. Do not leave any cracks or the filling will come out when rolled. Lightly dust a surface with flour, gently flatten a paratha then carefully roll out to a 20cm/8in diameter disc. Place a heavy-bottomed frying pan, preferably cast iron, over a medium-low heat. Cook for about 2–3 minutes on one side, flip over and repeat on the other side. As it cooks, roll out the next paratha. When both sides become dry and start to colour, brush with a little ghee to get an even colour. Remove from the heat and keep the parathas warm by loosely wrapping in foil. For the raita, combine all the ingredients, except a few pomegranate seeds and the coriander leaves, and mix well. Sprinkle the coriander and reserved seeds on top and put in the fridge until serving. Serve the parathas with the raita on the side.